User experience design for online fitness marketplace. 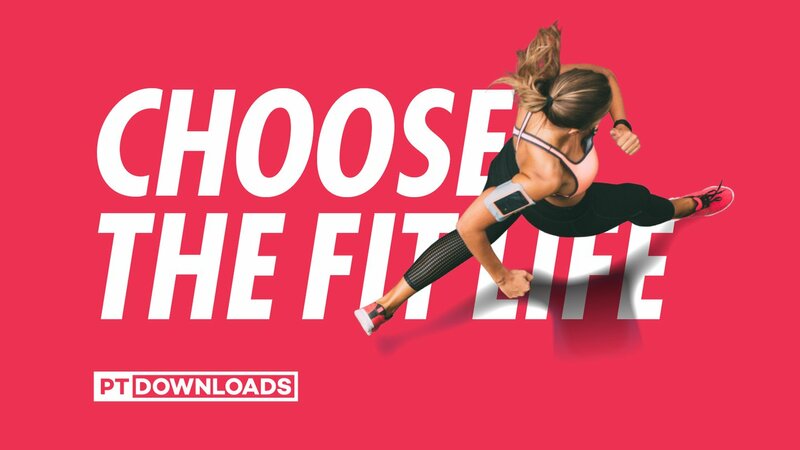 PT Downloads is an ambitious start up in the fitness sector with some complex UX and design challenges. We solved these for them with a progressive design that makes life easier for this business’s community. This project was an interesting challenge for our User Experience and digital design team. We collaborated closely with the client, and created a simple and intuitive ecommerce site design that has been well executed in the final ecommerce website. Not every business we work with is right for a Shopify ecommerce solution and we base our approach on flexibility so that we can find the best solutions for every business we work with. This was the case with PT Downloads, where we put our ecommerce experience to work just on the branding, campaign images and ecommerce interface designs. The client’s vision was clear and ambitious, and where he needed our help, was in turning that business vision into a carefully considered and well designed series of website interface. Our designs were then built by another company, better suited to delivering a solution for a lean startup. 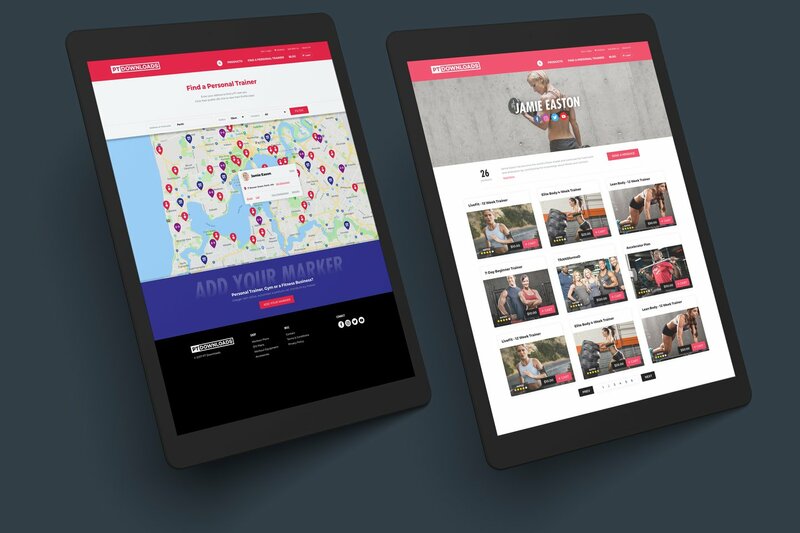 The basic concept fo PT Downloads was to create a community a personal trainers and give them a central marketplace from which they can offer their programs, knowledge and products, from their own 'micro sites' within the PT Downloads ecommerce environment. With a passionate and highly motivated client, with whom we had worked before, our digital designers got down to work. While this client didn't choose Shopify, we were able to apply our extensive ecommerce experience to the designs and allow the client to get maximum value from what we know about ecommerce user experience and increasing sales conversions by connecting site visitors to product and content as quickly as possible. Our objective on this project was to bring together the different sections of the website to deliver a user experience that makes sense and is easy to engage with. Take a look at the PT Downloads website, and you'll find a simple interface that quickly directs you to the different PT businesses offering their programs and fitness products and services. You'll see that's it's easy to connect with specific PTs, or search and browse according to product categories or your specific fitness interests. PT Downloads is a sound ecommerce business concept, backed up by an ethical sensitivity and motivation to give back. You'll find this message is load and clear on the website site as well. Our approach to ecommerce design always starts with the objectives of the business, their niche, specialisations and unique points of difference. We work with the client to understand their customers, and what they want from the site. Then, we blend all this knowledge together into a super healthy smoothie supplement and use that understanding to boost our design process. The outcome is most often an ecommerce website that achieves strong immediate traction, or increases sales conversions. Winning at ecommerce is about the details, and considering every step in the user journey to balance the need to sell, with the importance of delivering a satisfying and rewards customer journey, that leaves them wanting to come back for mow. And motivates them to share your business with their friends. If you're planning to expand your existing business and need an intelligent online solution, come and see us. With our enterprise level ecommerce experience, we can help you.